There is something comfortingly old-fashioned about a steamed pudding. Anything that takes so long to cook is, by definition, not contemporary; such things are a throwback to more leisurely days, when ready meals and convenience food meant fish and chips. Full stop. A steamed suet pudding is even less contemporary. It’s a serious thing, originally designed to keep out the cold in the days before central heating. I have been known to make one on occasion but, to be honest, this form of dessert is perhaps just too much for my constitution. And even my appetite. This recipe is for a sponge pudding, so it’s delightfully light, and it cooks in a mere two hours. Compared to a suet pudding, that’s like greased lightning. It being marmalade season, I was inspired to think along Paddingtonian lines and so I searched for a suitable recipe. 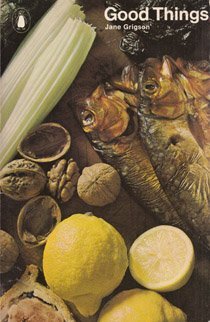 I ran the best one to earth in the late great Jane Grigson’s lovely book, Good Things (which first appeared in 1971). The original was for ginger pudding, so I have adapted accordingly. It serves four people generously and is best dished up with lightly whipped cream. I have updated quantities to metric. Cream the butter and sugar together until light and resembling whipped cream. Johann advised me about this. Had I been left to my own devices I would have stopped creaming earlier and the result would have been flat and heavy. Honestly, it does need to look like whipped cream; slightly overwhipped, indeed. Now stir in the egg followed by the flour. Mix in the milk. Melt the marmalade together with the water until very liquid. Far more liquid than you think is appropriate. When cooked it will be fine. Butter a pudding bowl and add the marmalade mixture then place the pudding mixture on top. Don’t worry that the marmalade mixture comes up the sides of the bowl and the whole thing looks disastrously messy. All will be well. Top with a disc of greaseproof paper and cover the top of the bowl with foil. Tie the foil tightly on with string and make a string handle for lifting the bowl out of the vessel in which it is to be steamed. Place a trivet or an inverted saucer in the bottom of a large lidded saucepan, put the bowl on top and pour in enough boiling water to come half-way up its sides. Simmer gently for two hours (topping up with hot water; make sure it doesn’t simmer dry). Then turn the pudding out on to a dish, slice and serve.